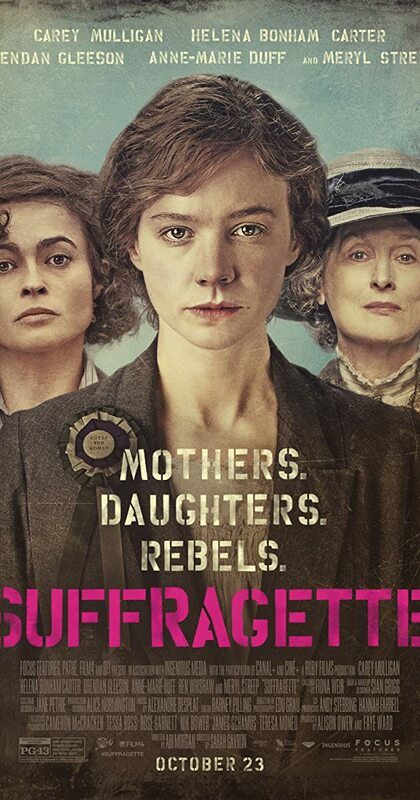 Last week, we watched the movie Suffragette. I hope many of you have watched it, so I don’t have to explain that it was…sad. Sad beyond expression. But one thing that really struck me in that movie was the fact that Maud worked full time—more than full time—outside the home. She sent her kid off to somebody else to take care of. For a lot of people, the stay-at-home/working mom debate probably feels tiresomely passé, but I still see the barbs popping up on both sides. I’ve heard the pain expressed by working and stay-at-home moms alike, who feel beleaguered. Judged. Too often by each other. I always planned to be a stay-at-home mom. I’ve spent a lot of my adult life cocooned in a community that sees it not just as a valid choice but as THE RIGHT choice. The thing is, I was less than a year into stay-at-home motherhood when I started working. I remember the moment I received my first acceptance, for the octavo Go In Peace from WLP. 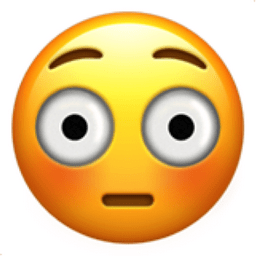 I was in the basement of our old house, nursing Alex while working on the computer with a repairman in the next room, and I scared both of them by screaming in excitement. For twelve years I’ve been wrestling with the balance between work and motherhood/wifehood. There’s no question that my presence at home is a huge value to the family. It would cost $7-9K a year per kid for day care in my area, and these days, the cost would be transitioning into money to pay a nanny/chauffeur. The fact that I can do the grocery shopping and cooking while Christian’s at work means we have more time to spend as a family. That’s a value you can’t quantify. And of course, I’ve been able to shape my kids’ world view without worrying about what they’re exposed to or taught in the brief intervals they were away from me as small children. And yet. I am more than a mother and wife. The gifts that were given to me as a human being who happens to be female were given for a reason. If I suppress them until my kids get old enough, I’m burying my coins. I was given the passion and gift for writing for a reason. I’m supposed to do something with it. But what about women for whom their calling, the talent that they can offer the world, can’t be done from home? Do their gifts not matter? Even I, working from home, have been tormented by messaging like “You’ll have decades left to have a career; your kids are only little once.” How much worse must it be for women who work outside the home? Those words may be true, but the reality is that if you drop out of the work force for three or five or ten years to raise a family and then try to come back, you’ll spend the rest of your life fighting a losing battle for equity. And the more I think about it, the more I realize this SAHM mom ideal is really a pretty new construct. Even this book on Our Lady of Fatima that my mother gave me to read to the kids talks about how Lucia was the go-to child care provider for the entire village. Even in a peasant village in the 19-teens, a lot of “at home” moms were sending their kids out to be tended by someone else. Which brings us back to Maude, from Suffragette. Yes, she is a fictional character, but I get the sense that she was an amalgam of many of the experiences of women involved in the suffragette movement in England. You could argue that it was different for poor women; that families of more means did, indeed, have mothers who stayed home with their kids. Except those kids had nannies and governesses. Then, too, wrestling with all this has made me realize that without women in the work force, and a lot of them, issues of just compensation and so on would be shunted aside even more than they already are. That might not impact those who choose to stay home, but it sure as heck would impact single moms, who have no choice. And now that I have a son on the cusp of adolescence—a son who watched Suffragette with us and who stopped the movie more than once to ask questions about what it means to be a woman in this day and age—the importance of this question is becoming ever clearer. I am a Catholic mother. My #1 job is to form my children in the faith. Not some warped version of it that picks the simplest parts to explain and ignores the real challenges the Gospel poses to people living in a real world, where there are no straightforward, cut-and-dry answers, because when you yank on one thread several dozen others move, too. I’m not belittling staying home. Quite the opposite. For all the hair-pulling moments I’ve experienced the last twelve years of being entirely or almost entirely at home with my kids, I can’t imagine going back and choosing any other path. It has been exactly what I was called to do. But nor will I stand for a world view that belittles those who do choose to work outside the home. We all have to discern our lives and our vocations based on our individual circumstances, the personalities, strengths and weaknesses of all the family members. And above all, we have to stop minding everyone else’s business. There was a period of several months recently when Julianna was constantly asking this question: when a song ended on a CD, at the end of a scene in a movie, whenever we got back in the van after running an errand or going to a lesson. But short as that lecture was, I could see in their eyes that they Weren’t Getting It. And I took a look inside myself and had to wince at what I saw. Because I have this problem, too. Christian ends every day by taking a survey, generally of what went right: what we accomplished, what he’s thankful for. Meanwhile I’m always fighting this rumbling dissatisfaction, this desire for more, more, more. If I managed to write a text for one verse, I’m dissatisfied because it wasn’t two. If I write half a chapter on a novel, I’m frustrated because it wasn’t a thousand words. Or because I’m afraid it’s episodic, and I’m terrified that it’s never going to live up to the potential of the concept. (Because this concept? It’s a good one. Really good.) When we finish a project, I feel a brief satisfaction, and then it’s right on to the next thing I haven’t gotten done yet. And of course, the list of things I want to get done literally never ends. This is how I’m able to “do it all,” as people always put it, but it definitely has a dark side. I love everything I do, but, German-like, I have trouble drawing a line and letting go when it’s time to do so. I have trouble living in the moment. But it drives me crazy when I see it in my kids. Perhaps it’s because they are trying to make their ingratitude my problem. I look at the kaleidoscope of experiences they’ve had and I’m just thunderstruck at how it’s never enough. I take a deep breath and I remind myself that kids are always clueless, self-absorbed, and developmentally incapable of the kind of awareness I’m able to exercise. I tell myself surely I was the same way, and this is just part of the process of raising holy terrors into holy men and women. But I also think I have some work to do in my own soul. This Chade Meng-Tan book I’m reading is slow going because I feel I should be practicing, not just dinking around with it, and I have too many other irons in the fire to devote the time properly. But in the way it resonates with my experience reading Thomas Merton, whose words in turn resonated with what I have experienced sitting in nature, I know that the key to this whole puzzle resides in a quietness of spirit that has to be cultivated. So there’s my next challenge. And perhaps—just perhaps—my efforts will enlighten my children’s lives, too. 🔶 To Instruct the uneducated, including oneself, and to recognize ones lack of knowledge and to refrain from instruction when necessary. 🔶 To Advise Wrongdoers, in person, without a shield of anonymity, with charity and goodwill as your motivation, and to use prudential judgement to know when not to offer advice. 🔶 To bear patiently the troublesome, employing silence often, and avoiding trite exchanges online. 🔶 To Pray for the living and the dead recognizing that clicking like on a prayer does nothing for your soul or the well being of the deceased. Take time to unplug and simply be. Most importantly, avoid hate. One cannot always avoid anger, but anger can be constructive, hate however, blocks fraternity, charity, and love. For more “Mercy on a Monday” posts, click here. I must have been six or seven, not yet old enough to be fully aware of the vague sense of financial worry caused by growing up on a farm in the 1980s. But plenty old enough to know better. I stole a couple pieces of candy from the open Brach’s bin at the IGA. I knew what I was doing was wrong. I also knew I wanted that candy, and that in my family, you didn’t ask for stuff like that. It wasn’t like there was a prohibition; I just always knew some things you didn’t ask for. I don’t think most people understand this, so let me try to explain. Once, coming home from a trip, we were half an hour from home at suppertime. My parents had a long discussion about whether to go out to dinner or to go on home, pull a hunk of meat out of the deep freeze, thaw it out, and make something, even if it meant supper was an hour and a half late. I remember holding my breath, because we never, ever, ever went out to dinner. Most people can’t comprehend the marvel, the excitement I felt when they decided to go out. But you see, we never went out to eat. We couldn’t afford it, so we didn’t do it. And by “never,” I don’t mean “once or twice a month.” I mean never. When we took twelve-hour road trips to see family, we packed breakfast and lunch and ate at rest stops. On a field trip in junior high, I got made fun of for ordering a happy meal–but I picked that because I knew what was in it, which wasn’t the case with anything else on the board. When I went to dinner with my boyfriend’s parents in college, I was so overwhelmed by the menu, I ended up picking the cheapest thing, even though I knew I didn’t like it, because I didn’t know how to process all those options, and I didn’t want to spend too much of someone else’s money. I just had no experience eating out. Whether I was aware of it or not, all that background was exerting an influence on me the afternoon when I pocketed the candy from the bin on the end cap at IGA. I knew it was wrong, but I also knew how much I wanted it, and without being able to articulate it, I knew I wasn’t going to get it any other way. Mom was still loading grocery bags into the trunk when my big sister found me out and told on me. Mom marched me right back into the store and made me give the candy back to the cashier. I can’t remember if I had to apologize or not. I’m sure I did. And then she told me we’d wait until Daddy came home, and Daddy would decide on my punishment. It was a horrible, horrible afternoon. I don’t think I left my room. There was fear of punishment, and there was the equal pain of my conscience. And when the big, dust-caked pickup rolled into the driveway, I remember the awful feeling in my stomach. I knew I was in for it. I mean, this was far and away the worst thing I’d ever done. It seemed to take forever. No doubt they had a parental conference in the kitchen, while I tried to read, or write, or draw, there in my room at the northwest corner of the house. And then came the heavy footsteps, creaking on hard wood floors. Dad came into the room and sat down on the bed next to me. I was stunned. In the moment, my relief was all about escaping punishment. But in retrospect, I realize that his choice to extend mercy was the single most effective discipline he could have imposed. Because I knew I deserved punishment, and escaping it made me so very aware of the need to be better. My dad’s mercy didn’t so much wake my conscience as set it on fire. I don’t know how my dad knew I was already punishing myself. And I don’t know how to recognize it in my own children. In the moments when my kids tussle or act out, I often wrestle with discipline. They need to understand that what they’ve done is not acceptable. It’s our responsibility to form our children’s consciences, and you can’t do that without the concrete imposition of limits. But the point of discipline is to create discipleship—a desire to follow out of love, not out of fear of punishment. And that gives me a question to ponder today, which I share also with you: In my parenting, am I looking for the moments when what is most needed is mercy rather than consequences? My favorite picture of the day. Unfortunately, it’s trimmed so much, the quality’s note great. Sorry. …forces you to tolerate having lots and lots of pictures taken…. …and when you get cards and presents and singing, it’s a good day all around. But for mommies, the most fun is seeing cousins from both sides of the family making friends. I call this cross-pollinating cousinship. They’re already plotting a pool party together this summer. To me, that spells success!